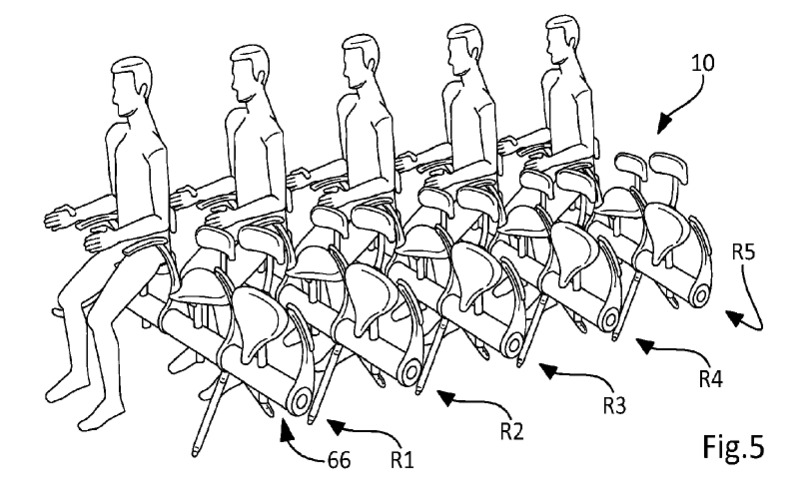 Airbus has applied for a patent for sardine seats. 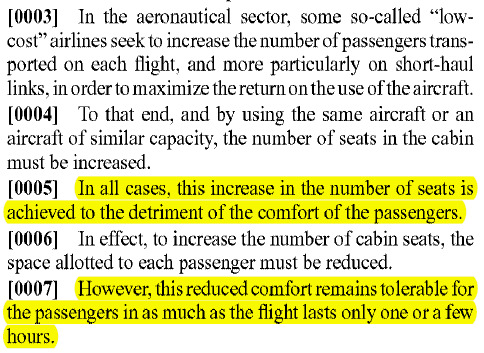 The fact that increasing the number of seats is achieved to the detriment of the comfort of the passengers, is widely known. What isn't so obvious is that the reduced comfort remains tolerable for only one or a few hours. The definition of a short haul flight is apparently not clear cut. At least one airline defines it as up to three hours. 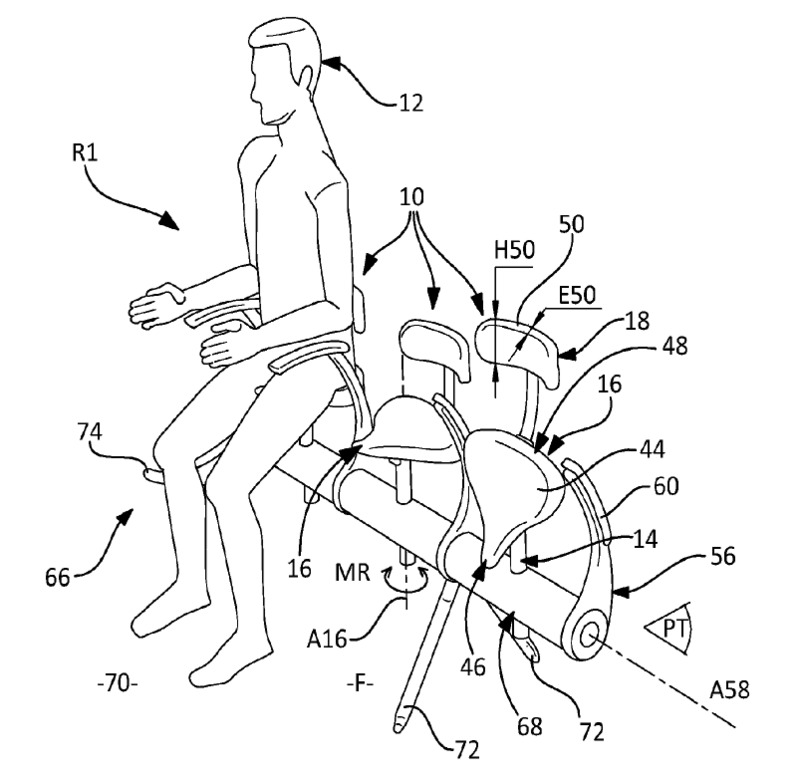 Airbus must have a pretty loose definition of tolerable. It must mean that passengers will grouse, snapchat photos of sardine seats, and tweet their misery. Hang on to your $6 beer because the seat back tray is no more.